NEW ALBUM : EXTREME : News just in direct from Ray, “I decided to call the album that I’m currently working on Extreme because of its diversity, and back in the UK after five weeks away, the album is now complete”. 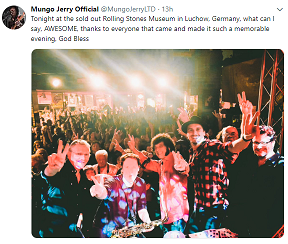 He told us that, “the songs for the album have been jammed through on the tour (of Germany before Christmas) and we played one of them on the Madness gig that was did in Minehead. 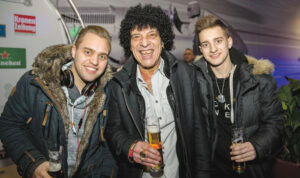 “I have also written most of the songs for the rockabilly album. 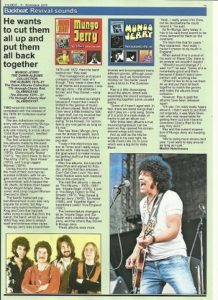 “I have more or less sorted out a worldwide deal for physical distribution of the new stuff and the back catalogue too. 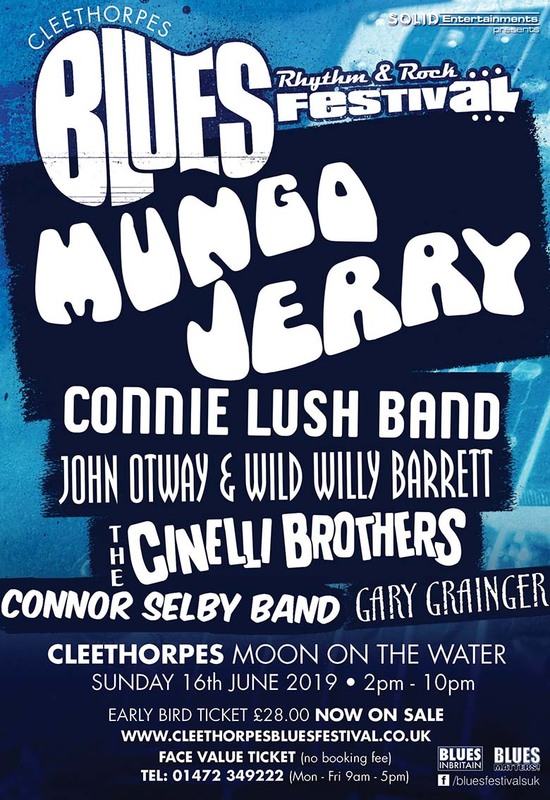 “Extremely Satisfied!” That’s the verdict on this new offering from Mungo Jerry that delivers nine brand-new compositions as well as a fantastic new rendition of The Wind is Blowin’, a gig favourite that also appears on 100% Live (2016). If your mood needs improving, just press “play” on this album and you can forget your woes for the next 45 minutes while you let the infectious magic that is Mungo Jerry change your day. 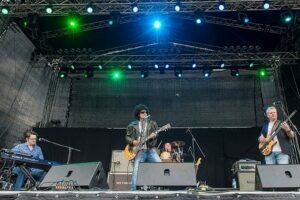 Overall, Extreme is a collection of fresh songs written by Ray that fully gun the engines of his high-performance band. Always eager to push limits, Ray takes his band on a musical odyssey that will please every listener. 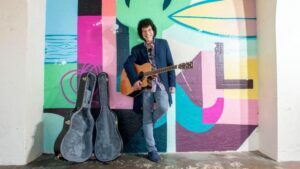 This latest album reflects new output from an artist who has found a new wellspring of inspiration and it will no doubt be celebrated by fans as a tour de force. 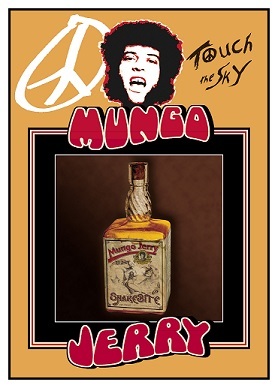 Like the best of Ray’s albums over the past 50 years, there is a sampling of many Mungo Jerry moods here for everyone’s taste. STRAY DOG (3.53) : This is a solid and satisfying mid-tempo blues number. Driven by a strong bass line and an unrelenting sax, Ray’s strong vocals welcome listeners to this opener. I had it on in the car and it took me two trips to figure out that it reminded me slightly of Boot Powers’s classic, She’s Gone. It’s one you’ll be humming before long. 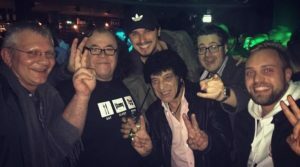 GOT TO HAVE A PLAN (4.47) : This funky blues song provides a complete change of direction where Ray coaxes virtuoso performances from his band. His joyous guitar riff sails over the whole song as he controls every sound he masterfully pulls from six mere strings. The nimble and decorous bass line will set many feet tapping. MR. TEACHER (2.42) : Right: roll up the rug and put away the cups and saucers. There’s a rockabilly party in this kitchen tonight! Suddenly, it’s 1961 again and Sun Studios has appeared in our kitchen. 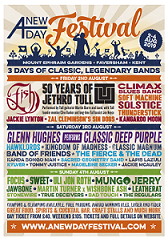 Everyone will enjoy this throbbing rock-out. Mind the dresser there! WHITE DRESS (4.39) : Prepare to surrender yourself to the groove as White Dress leads you to a white, sun-kissed beach! Smooth sax, cool drumming, soft bass and brass organ keyboards complete this Caribbean anthem to love. Could someone please give my hammock a gentle nudge? And maybe another pina colada if you don’t mind. 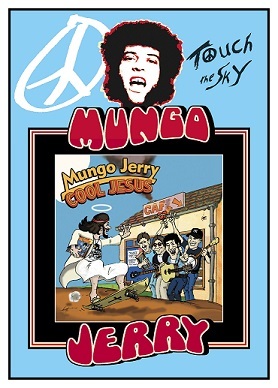 This blissful Mungo Jerry reggae number is typically full of sunshine and happiness. Don’t let it end. Beautiful! MESSING AROUND (2.42) : Did we leave that rug rolled up? Good, then it’s back to our kitchen for an exuberant jug band number. The sound of a needle scratching its way across an ancient vinyl opens and closes this little gem. It transports us magically to the heyday of Mungomania. You will smile and be delighted by lots of kazoo, plenty of da da dee dee dee da da and a dash or two of rooby roo ri ri ra raa. 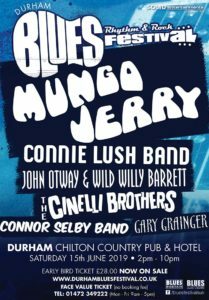 It’s nostalgic and uplifting because it’s brilliant to see that this kind of Mungo song is still going strong. This is a great good time track. Love it! GRAVY TRAIN (4.59) : The entire band produces a top-drawer and exotic musical backdrop as a dramatic intro to Ray’s echoing vocals. 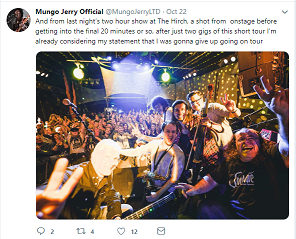 In a way, it’s reminiscent of Mungo’s ‘continental’ phase from the late 1970s but with the added sophistication that a half-century at the top – and a great band – brings. Keep a glass of your special-reserve whisky as you enjoy this song. It deserves the best. COME TO THE PARTY (2.44) : That rug can stay in the kitchen corner for this rockabilly floor-filler. Wild harp blowing from Ray Dorset fuels this good-time song all the way through the roof. 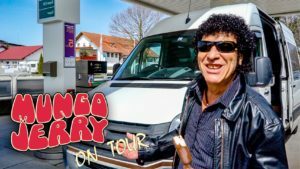 HARD WORKING STRANGER (3.21) : Take this south-bound special straight to Bluesville in the company of Mungo Jerry, arguably the best travelling partner you’d want for any blues journey. Relax and enjoy this full-blooded thumper. THE WIND IS BLOWING (6.07) : The pick of the bunch! 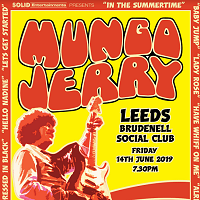 The previous nine tracks had almost and deservedly exhausted my store of superlatives but this is the best version I ever heard of this Mungo Jerry gig standard. Ray has saved the best for last, in an album that provides a feast of entertainment. 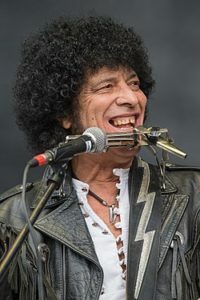 MUNGO JERRY ON THE ONE SHOW : Ray is to contribute to the B.B.C programme, The One Show where they will run a feature on 1971’s Weeley Festival, on or around the 14th of May and hopefully will be playing a couple of songs. 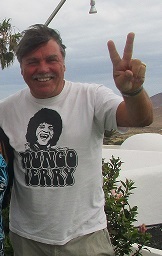 THE BOOK : Ray updated on the latest position regarding the forthcoming book, “Mick has written about 480 pages for the forthcoming Mungo Jerry book, You Don’t Have To Be In The Army To Fight In The War, so far and we are working out how to include all of the facts that have so far been left out”. Mick has been working on the book for some time and having seen a draft, it promises to be a must for all fans. DVD of the tour with live recording from this gig. 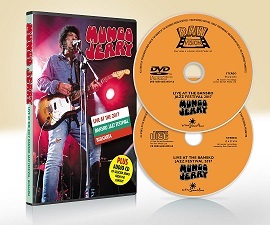 Now available from the official Mungo Jerry on-line shop are two brilliant new DVD/CD’s. 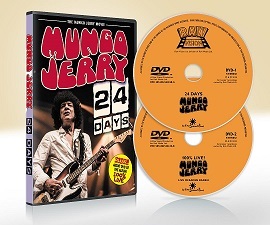 Firstly, the long awaited Mungo Jerry movie, 24 Days, a documentary style record of Ray and the band’s tour of Germany, Switzerland and Belgium during the summer of 2016. 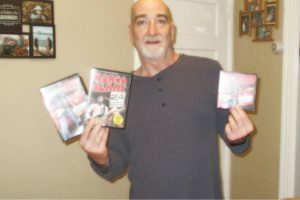 Marc Viscel with his copies. The package is completed by a complete recording of the tour’s last gig in Baden Baden, a show performed for the German national radio station, SWR, and broadcast live, playing out to a black and white version of the movie. The second DVD is film of the Bansko Jazz Festival gig the band performed in 2017. 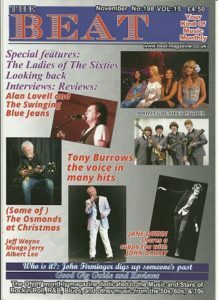 A CD of the gig containing featured tracks is also included in the package. Coming soon to the shop are these colourful tea towels. 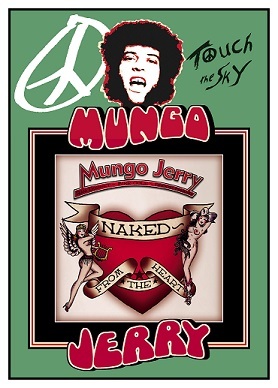 There are three separate designs featuring the Mungo Jerry albums – Snakebite, Naked From The Heart and Cool Jesus.